Purchased from the brewery on release day in Fresno, California. Poured from a 22 oz bomber into my stout glass. The body pours a dark clean-brown color, appearing nearly solid black in the glass. A thin brown head is poured, which dissipates quickly to a very thin partial covering and leaves almost no lacing. No significant amount of carbonation can be seen crawling up the glass. Huge (and I really mean HUGE) dark roasted, bitter coffee/espresso notes abound in the aroma. The closest thing I can compare it to is the smell of the used coffee grounds left in your drip maker’s filter after brewing. Some ripe tobacco notes are mixed in the with coffee as well. I really struggle to pull any malt characteristics from the aromas; the coffee is just so dominating. 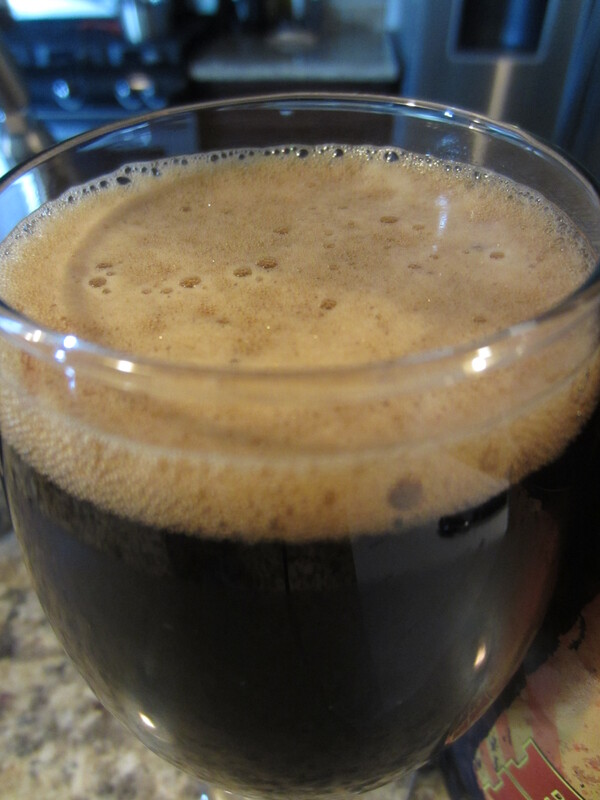 A medium-rich bodied beer, with some carbonation harshness initially going down (which calms and smooths as it sits out and continues to warm). The cold brewed coffee again is dominant in the flavors – but more is to be had than in the nose. Bittersweet chocolate notes are also presented, and a lactose presence lends a bit of creaminess to the flavor and more so to the mouthfeel. The finish is moderately dry, with no real alcohol or hop presence, and the coffee with hints of tobacco flavor is what lingerers on the palate. I first had Rush Hour on tap at a dark beer fest back in December, and I was super excited when I heard they were making a large scale batch to bottle. The recipe seems to have been scaled perfectly, as it tastes pretty spot on from what I remember. 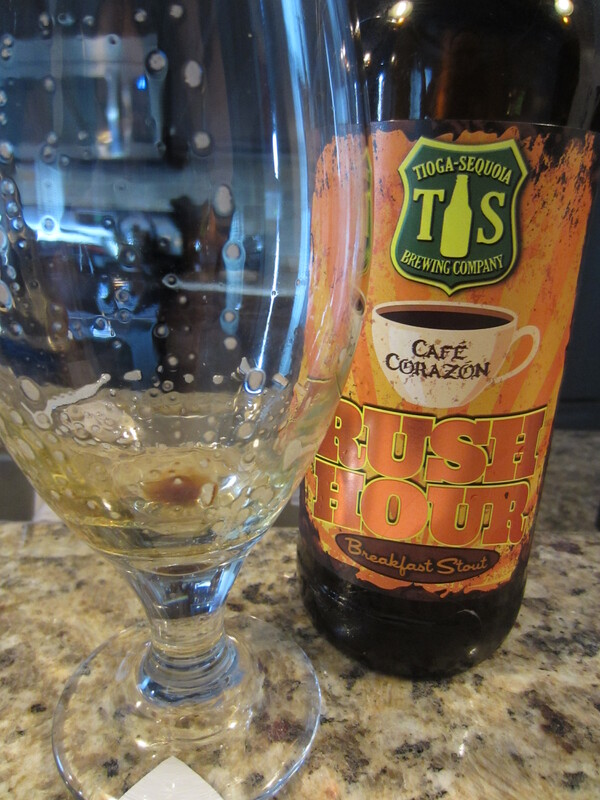 The coffee is overloading everything in this beer, in a very good way. 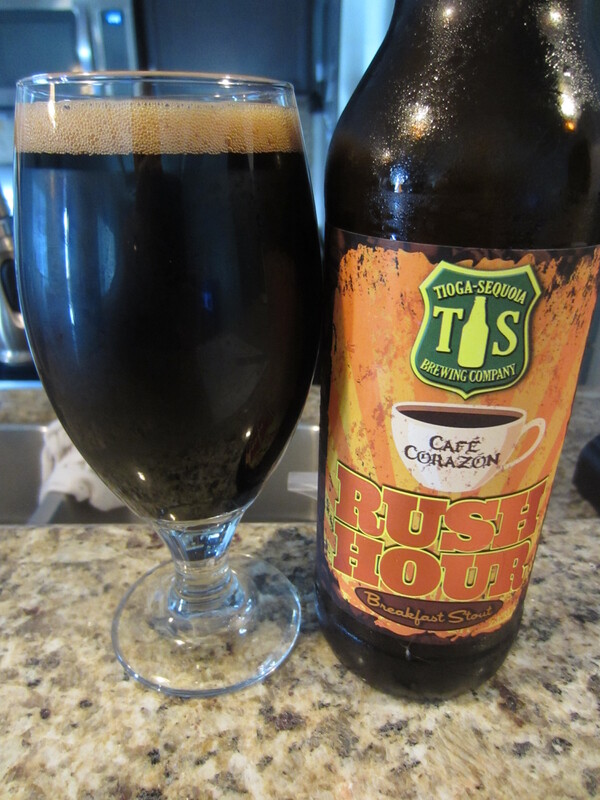 This is exactly what I look for in a coffee stout, and I think using a lactose stout base and cold pressed coffee helps drive off the heavy astringency I’ve experienced in other coffee forward beers. 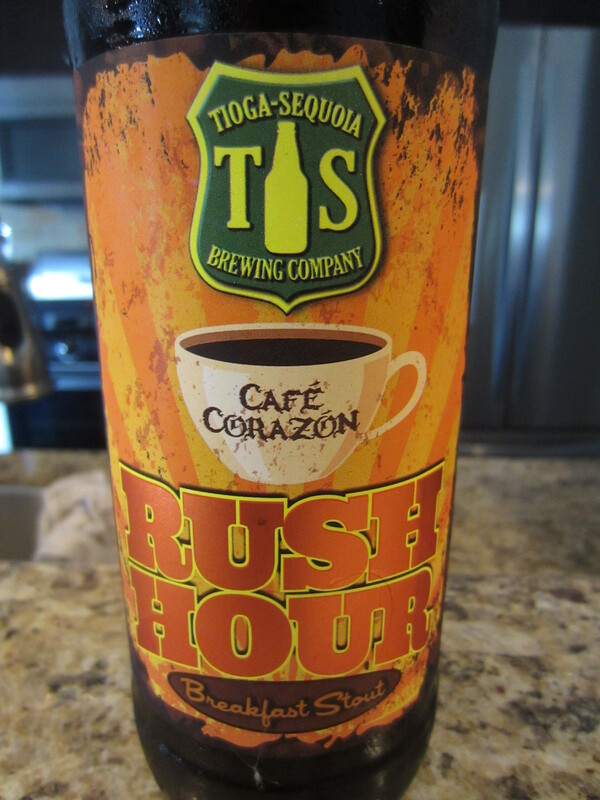 If you’re going to brew a coffee stout, pushing the envelope as far as it can realistically go is the way to do it, just as Tioga-Sequoia has done with Rush Hour. I find myself once again very impressed with my local craft brewery. 8.5/10. 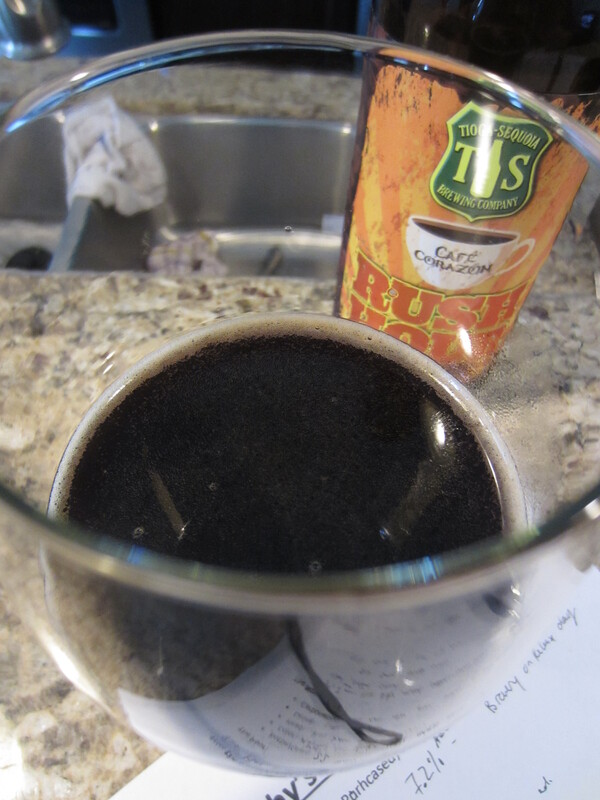 Coffee Stout seems to this weeks big thing. I think I’d be a fan.